Spirit and Truth, Right Brain and Left Brain. The more I interact with my cessationist brothers and sisters, the more I see that in many ways, we are passing each other like ships in the night, and it has nothing to do with one side being committed to the Lord and the other not. How can we better understand each other, learn from each other and serve together to glorify Jesus and touch a dying world? I take an entire chapter in my just-released Authentic Fire book to address this very question. Now, to be perfectly clear, I am absolutely convinced that the Scriptures testify clearly to the ongoing nature of the gifts of the Spirit. In fact, the longest chapter in Authentic Fire is devoted to studying that issue in depth. At the same time, it is clear to me that both charismatics and cessationists have unique contributions to make to the church and to the world and that there are personality traits unique to each camp. Now, there is no question that one person’s strength is often another person’s weakness, and vice versa. Some people are totally analytical, others totally intuitive. Some people love to confront; others love to comfort. Some are didactic teachers, others motivational leaders. Some people are born to invent, others to research and record patents for inventions; some are born to lead armies, others to care for the elderly—and you had better believe these respective giftings are quite different. It’s the same thing in terms of our spiritual personalities, and the better we understand each other, the better we can be of help to one another. As Paul wrote in Romans 12, “For as in one body we have many members, and the members do not all have the same function, so we, though many, are one body in Christ, and individually members one of another. Having gifts that differ according to the grace given to us, let us use them” (Rom 12:4-6, ESV). One believer is circumspect and sober but can tend toward skepticism; another believer is willing to step out in faith but can tend toward gullibility. Each one needs the other. Obviously, there is total harmony between spirit (or Spirit) and truth, and it is not a matter of either-or but of both-and. At the same time, Jesus is describing two elements here, spirit (or Spirit) and truth, and on a certain level (and I’m simply using this text here to make a point rather than claiming that this was what Jesus meant), charismatics, who are people of the Spirit, can put more emphasis on spirit/Spirit, whereas cessationists, who are people of the truth, can put more emphasis on truth. Both are equally essential. Consider also the Lord’s rebuke of the Sadducees in Matthew 22:29: “You are in error because you do not know the Scriptures or the power of God” (NIV). Knowing both God’s Word and God’s power are essential for spiritual soundness and fruitful ministry. Knowing one without the other leads to errors and extremes. Knowing neither is fatal. Jesus emphasized the importance of both. But it is possible (and all too common) for believers to be so heavily into the Word (in terms of studying the Bible and learning the original languages and getting into proper exegesis and theology) that they lose the vibrancy of their fellowship with the Lord and lack greatly in the empowering of His Spirit (although this ought not be the case, since both biblical study and spiritual passion should go hand in hand). On the flip side, it is possible (and all too common) for believers to be so heavily into the things of the Spirit (in terms of wanting to see God’s power touch a dying world and cultivating worship and intimacy with God) that they become sloppy in their study of Scripture and doctrinal foundations (although, again, this ought not be the case). I know that my Scripture-expositing, cessationist brethren sometimes listen aghast to the charismaticeisegetics of some TV preachers, while our Spirit-filled, charismatic brethren look aghast at the power-depleted ministries of some cessationist colleagues. Why not have both the accurate Word and the power of the Spirit? And can you really have an accurate understanding of the Word without acknowledging the Spirit’s power for our day? And can you really walk in the fullness of the Spirit without being grounded in the Word? The truth is, as much as there is some “charismatic chaos,” there is also some “Baptist boredom.” One group sometimes falls into fanaticism, the other group into formalism, and both are equally wrong and dangerous (although each group sees the other’s weaknesses as being far more dangerous, tending to exaggerate them as well because they seem so foreign). Wouldn’t it be great if, through learning from each other and listening to each other, we could produce fire and faithfulness, power and precision, energetic worship and exegetical wisdom? After all, aren’t we commanded to love God with all our heart and all our mind and all our soul and all our strength? Just think of what happens when there is holy cross-pollination! To the extent that we have both Word and power, truth and Spirit operating in our lives, it will be life-giving for us and helpful for others. A Great Big Blind Spot. On Oct. 24, I began to write a new book entitledAuthentic Fire: A Response to John MacArthur’sStrange Fire. By God’s grace, three weeks (and more than 400 pages) later, with contributions from Craig Keener and Sam Storms and others, the book was completed and is now available as an e-book. I’m sure that some of you are shaking your heads, wondering how a leader of Pastor MacArthur’s caliber could make such extreme statements (either in his Strange Fire book or at the Strange Fire conference). One answer would be willful ignorance, meaning he knows what he is saying is false and yet he says it anyway. To that I can only say God forbid. My esteem for Pastor MacArthur and my commitment to walk in love toward him does not allow me to consider this possibility even for a moment. What then is the problem? If it is not willful ignorance, then it must a blind spot—a great, big blind spot, one that is so large that it does not allow him (or those who follow in his footsteps) to see these issues clearly. In Authentic Fire, I take almost 35 pages to expose this blind spot. Let me take a few paragraphs here to address the first of these four claims, touching very briefly on the last three claims at the end of this article. Have charismatics, as such, made real contributions to biblical clarity, interpretation and sound doctrine? Absolutely! Of course, one could immediately challenge the idea that the positive contributions of charismaticscholars and theologians as charismatics can somehow be separated from the positive contribution of charismatic scholars and theologians in general. This would be like discounting most (or all) of the positive contributions of cessationist scholars and theologians since, it could be argued, they did not primarily make those contributions as cessationists. Not only so, but this line of thinking actually produces a false dichotomy, as if you can easily separate one’s theology and spiritual experience from the whole of one’s life—be it in biblical interpretation, theology, worship, acts of service or character. Still, let’s answer this question on Pastor MacArthur’s terms, since it can easily be demonstrated that charismatics as such have made wonderful contributions to biblical interpretation, theology and sound doctrine. To this day, the most widely read devotional is My Utmost for His Highest by Oswald Chambers. What many readers do not know is that the transforming experience for Chambers as a believer was beingbaptized in the Spirit, and from 1907-1910, he was a traveling speaker and representative of the Pentecostal League of Prayer. Go back and read Chambers again, noting the depth of his spiritual penetration, his exaltation of Jesus and his pointing to the work of the Spirit, and recognize that this beloved author believed in the baptism of the Spirit and ministered as a Pentecostal, although he opposed division over the question of tongues. And how about A.W. Tozer, read more today than he was in his lifetime, famous for extraordinarily rich books like The Knowledge of the Holy? Tozer was mentored by F.F. Bosworth, author of Christ the Healer and an early Pentecostal leader who was touched at Azusa Street, and Tozer believed the gifts of the Spirit were for God’s people today. This makes much more sense now. In the realm of biblical scholarship, some of the world’s foremost New Testament scholars speak in tongues (and/or affirm the gifts of the Spirit for today), including Gordon Fee, Craig Keener, Ben Witherington, Peter H. Davids, and N.T. Wright. (Wright described tongues as being “like a private language of love.”) There is no question that their spiritual experiences have enhanced their scholarship (think of Fee on 1 Corinthians or on the Holy Spirit in Paul; think of Keener on Acts or on miracles, past and present; think of Davids on healing in 1 Peter and James [Jacob]). This is just the tip of the iceberg, but it is enough to expose this massive blind spot in the Strange Fire camp. As for the question of “Where is the charismatic hospital?” how about Calcutta Mercy Hospital, founded by Pentecostal missionaries Mark and Huldah Buntain, serving 100,000 needy Indian patients every year? This is actually one of countless charismatic hospitals and ministries of mercy. As for the charge that the Charismatic Movement has made no real contribution to worship (! ), just think of Hillsong or the Vineyard or even Jack Hayford himself (author of “Majesty”), just to mention a very few out of many. As for the charge that charismatics need to look more like Jesus before their truth claims can be taken seriously, think of Corrie ten Boom of Hiding Place fame, one of the most beloved, godly women of the 20th century and a committed, tongues-speaking charismatic—and she is one of millions. You can read more in the Authentic Fire book, but enough has been said here to render this great, big blind spot exposed. And that is good news, not bad news, since all this is to the glory of God, not man, with the help of the Spirit and for the good of the world and the church. Rather than argue about it, we should rejoice. Michael Brown’s ‘Authentic Fire’ Book Answers John MacArthur’s Accusations. John MacArthur set off a firestorm of debate in November when he launched his Strange Fire book and conference flatly charging the charismaticchurch with irreverence to the Holy Spirit, heresy through prosperity teaching and other offenses. Now charismatic Bible scholar and theologian Michael L. Brown is offering an in-depth response in an e-book entitled Authentic Fire: A Response to John MacArthur’s Strange Fire. Indeed, the book confronts one of the most explosive current debates among Christians. In direct contrast to the “collective war” launched by MacArthur, Brown makes a biblical case for the continuation of the New Testament gifts of the Spirit and demonstrates the unique contribution to missions, theology and worship made by the charismatic church worldwide. Brown also calls for an appreciation of the unique strengths and weaknesses of both cessationists andcharismatics, inviting readers to experience God. And he demonstrates how charismatic leaders have been addressing abuses within their own movement for decades. Are Church Leaders Responsible for Church Members?. Several times, the apostle Paul wrote about the church as the “body of Christ” (Rom. 12:5; 1 Cor. 12:12; Eph. 4:12; Col. 1:24). While this image is only one of dozens of images of the church in the New Testament, it is a most helpful one. 1. The church is God’s, not ours. This point is clear in 1 Corinthians 12. Everyone in the church is empowered by the same Spirit (vv. 6, 11). We were all baptized into God’s body through the Spirit (v. 13). God arranges all of us in the body as He chooses (v. 18). He appoints leaders in the body (v. 28), and He can do so as He desires because the body is His body. This simple truth reminds us that while we may be the leaders, the story is not about us. God can, and will, raise up other leaders if we decide the church is ours. 2. We really are family. 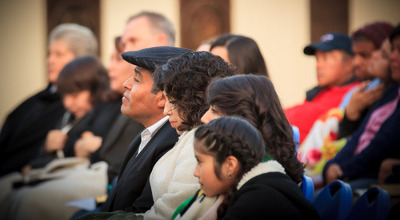 The body of Christ is genuinely family, even if we do not share a physical lineage. All of us hurt when one of us hurts; all rejoice when one rejoices (vv. 25-26). God somehow takes people who previously worshipped mute idols (vv. 2-3) and makes them part of His body. We then share the love so beautifully described in 1 Corinthians 13. 3. Every member matters. The body is made up of many members, but all of the members form one body (vv. 12-13). In fact, God gives spiritual gifts to each member of the body (vv. 4-11), and the body needs all the gifts. No person is insignificant in God’s eyes. That means I must love even the church member who seemingly can give little in return. 4. The seemingly less significant need more attention, not less. It’s easy to focus on only those members who are equipped, ready and willing. Those less ready to serve require time and energy. On the other hand, Paul said that God gives attention needed to the “less presentable” so they fit well in the body. We must do the same. Sometimes the “less presentable” are that way because no one has given them time. 5. We must be comfortable with diversity. If everyone were an ear, there would be no body (vv. 17-19). We need ears, eyes, noses and arms to be a body. Let’s be honest, though: If I’m an ear, I’m more comfortable hanging out with others who are also ears. That kind of thinking only hinders the body. 6. Every member has a role in the body. He may be an eye, or she may be an ear—but each one has a purpose. This truth has huge ramifications for the church. Not only must we assume that each member has a purpose, but we must also help these members find their place in the body. 7. We learn to serve within the body. We have different gifts, but the same God grants these gifts (v. 4-11). By implication, we help one another recognize these gifts as we serve—that is, we do something—in the context of His body. The ear serves, others recognize and affirm his abilities and gifts, and he begins to see how he fits in the body. Hence, we must have in place a means to help people serve in entry-level positions. We must help them discover their giftedness. These next two implications, I suspect, will raise some questions. I separate them here to encourage you to give them some extra thought. 8. We are responsible for uninvolved church members. I hear it all the time: “My church members just won’t serve. They just won’t get busy.” Here’s my response to that thought: If church members come to our churches and “only sit,” they do so because we allow them to do so. They do so because we have not done our job as leaders to help them find their place of service and then hold them accountable. Perhaps I’m overstating my case, but I don’t think so. Let me know your thoughts. Chuck Lawless serves as professor of evangelism and missions and as dean of graduate studies at Southeastern Seminary. You can connect with Dr. Lawless on both Twitter and Facebook. There is no way anyone will understand justification by grace appropriated only through faith without looking at it from God’s perspective. When we see the holiness of God on one hand and the depth of mankind’s sin on the other, a lot of things come into a new light. Justification by faith alone makes sense only when you realize that no amount of human effort could bridge that immeasurable gap. No amount of consecration or sanctification could earn the right to the gifts of the Spirit any more than indulgences could gain forgiveness or Simon’s money could purchase God’s power. Gifts of the Spirit are given based on the grace of God, not on the maturity, wisdom, and character of the vessel. Father, there is a great gulf that stands between Your perfect holiness and the sinful, hopeless condition of mankind. Nothing but a simple faith in You can bridge that gulf and cause Your forgiveness and mercy to flood over my soul. The ‘Strange Fire’ of John MacArthur.